* Will collect 30% advance commission and pass contact after received payment. Fully refund is promised if the job is unsuccessful or after first class. 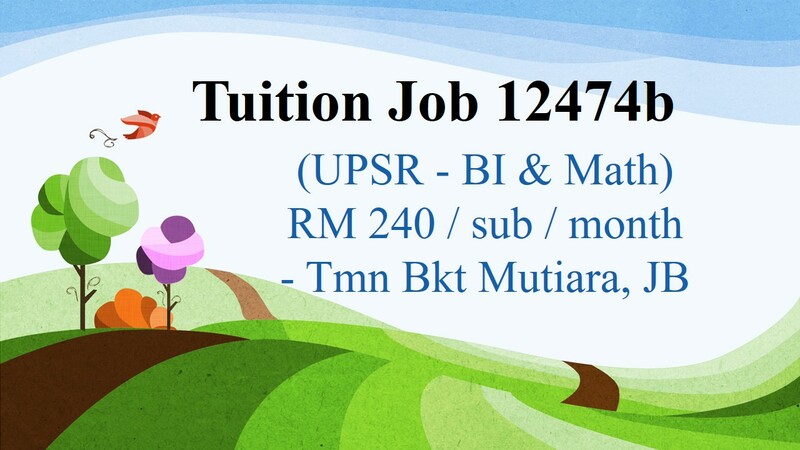 * Registered tutor can apply by Whatsapp (12474b, Full name, Time slot, Subject, Year of exp).